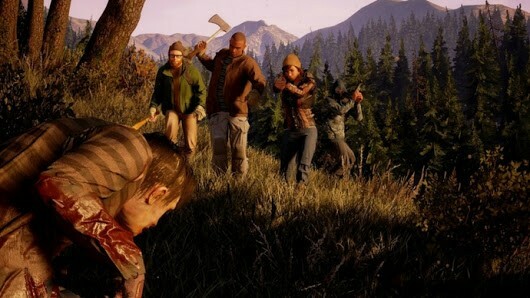 The first State of Decay was a deep survival-horror game that took a more realistic approach to living in a zombie-infested world than some other titles of its ilk. Alongside the bloody combat against endless zombie hordes, State of Decay demanded you manage your group, establish bases and defences, and help other survivors stay alive. Fans have been waiting for a sequel since the original landed in 2013, and it has now been confirmed for a May 22nd release on Xbox One and PC. 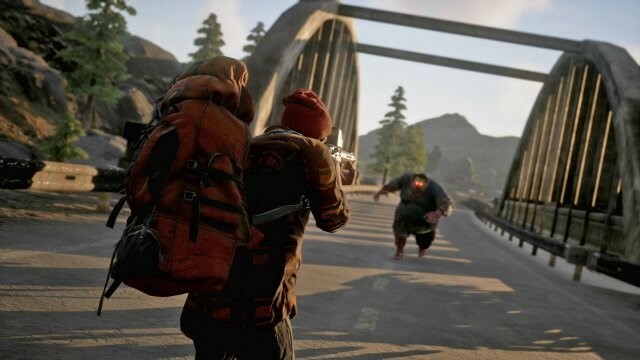 State of Decay 2 will follow the same core gameplay structure, but it will offer online multiplayer so you can team up with others to help each other survive. Up to three friends can work together via online play, while you can still play entirely on your own. State of Decay 2 will not be steeped in a persistent online world nor will it be an MMO, which may come as a relief to some fans looking for a more traditional solo adventure. The drop-in, drop-out online component will be there for anyone who wants to take advantage of it, without it being forced upon you. The gameplay will still put real emphasis on striving to get by, forcing you to scavenge for resources and establish stable communities in the wake of the zombie apocalypse. One big difference to the majority of games in the survival-horror genre is the lack of a main protagonist – every character in the group will have their own unique traits and stats. Each will have their own role to play to help their friends stay alive, whatever that may mean. Three different maps will be included with State of Decay 2 when it launches, and the resources you acquire in one will be available in the others. This will help to give you a slight edge, and make for a cohesive playing experience. All of the maps have been designed to offer maximum variety, and each individual one is said to be around the same scale as the original game’s whole playing environment. Fans will no doubt rejoice to have more diverse locations to explore and lots of extra space to make use of. The different landmarks and layouts found within each of the three maps will allow you to experiment with varied tactics and techniques. For solo players, this is key to help ensure longevity and repeat play. Another important feature of State of Decay 2 at launch will be the lack of microtransactions, helping to set it apart from numerous other titles that invite players to pay extra for additional elements. Vehicles will be available to help you navigate the world and reach different locations without having to brave terrain on foot. State of Decay 2 gameplay footage revealed so far shows just how rich and atmospheric the world is, with characters driving along country deserted roads in the deep darkness of night, while the undead wander nearby. 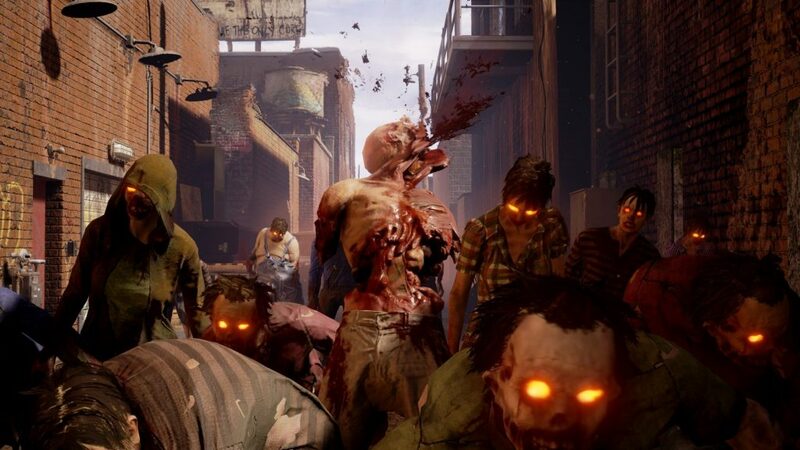 The combat looks expectedly intense and brutal, enabling players to take zombies down using various objects and weapons. 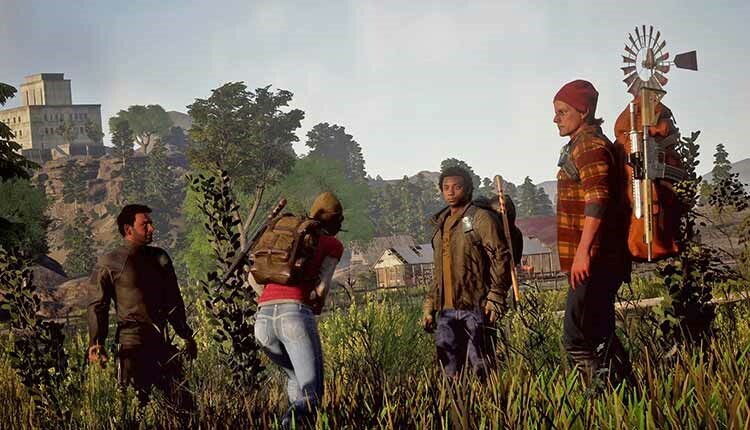 The State of Decay 2 gameplay footage demonstrates how fluid the characters’ interactions with each other, enemies, and the world around them is: it looks like incredibly convincing and organic. The horror is clearly high in State of Decay 2. The zombies move much like they did in the original and other games, but they’re still frightening – especially when they latch on to the sides of a car speeding along a dark road. Having to actually use your wits to avoid them, navigate locations, and employ your resources wisely should be just as engrossing as with the first State of Decay, if not more so. You have a community to care for in multiple ways, which ups the stakes and builds more intensity than simply trying to shoot as many zombies as you can. Both State of Decay 2 and the upcoming Days Gone should both satisfy zombie fans craving depth and open-ended gameplay along with their survival-horror. So far, State of Decay 2 is shaping up to be a truly impressive sequel filled with all the intensity, depth, and strategy fans of the original could want. The online multiplayer aspect, which lets up to four friends get by together, should add a great new dimension to the game without disrupting the single-play experience. State of Decay 2 will be released on Xbox One and Windows in May, nearly five years after the original. Are you excited for the sequel, and how do you feel about the new online multiplayer mode?